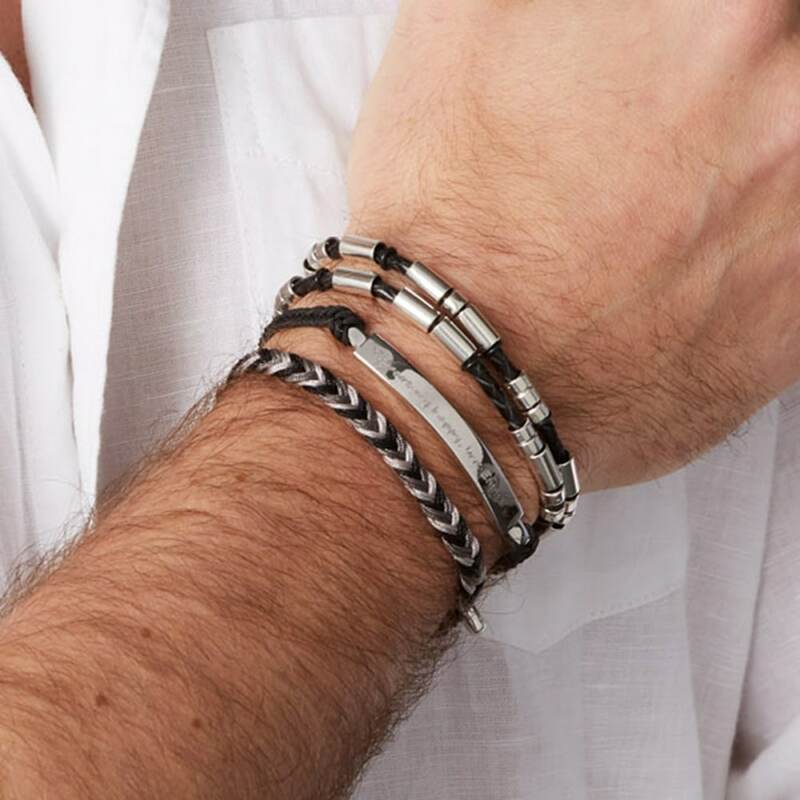 The perfect jewellery gift for couples, best friends, father and sons, mothers and daughters, this Personalised Friendship Bracelet Set includes two beautiful handcrafted bracelets that can be engraved with the name, initials, or short message of your choice. 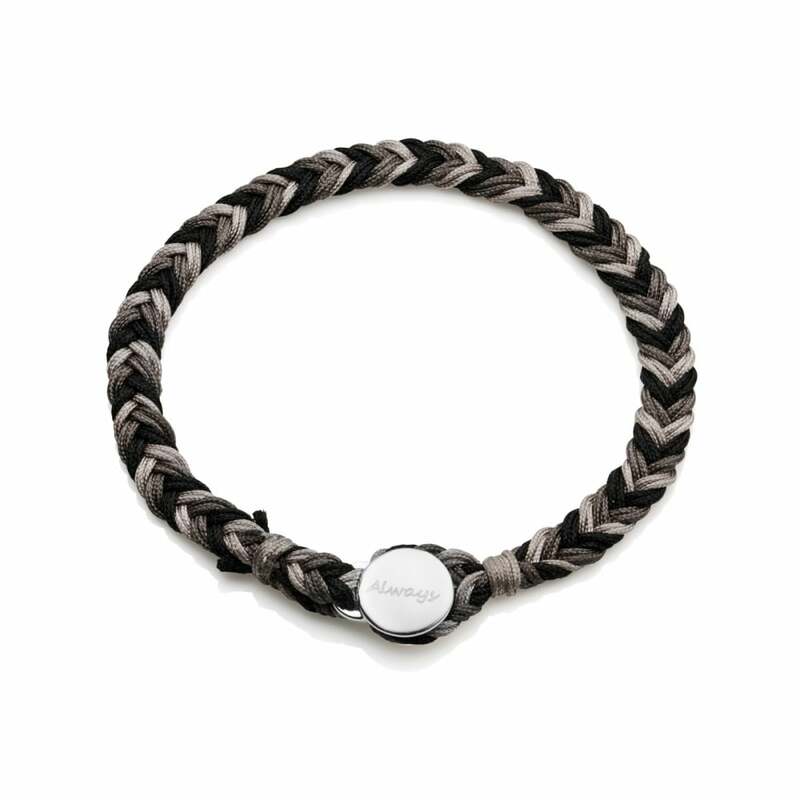 This duo of delights features hand-woven bracelets in premium jewellers nylon. Sterling silver button fasteners add the finishing touch to the cool and contemporary design, while our engraving service allows you to add your own stamp to both pieces. Suitable for besties young and old, our Personalised Friendship Bracelet Set is available with two identical bracelets, his & hers bracelets, or with a large and small bracelet, one for adults, the other for children. Each bracelet comes in a Under The Rose Gift Box. 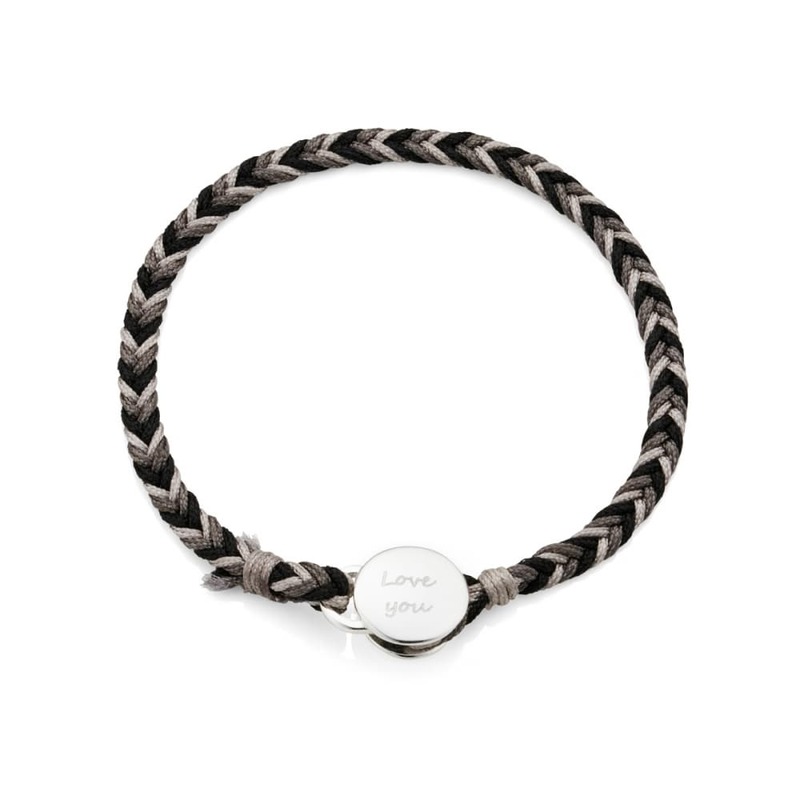 Our smallest women’s bracelet is ideal for a young adult.